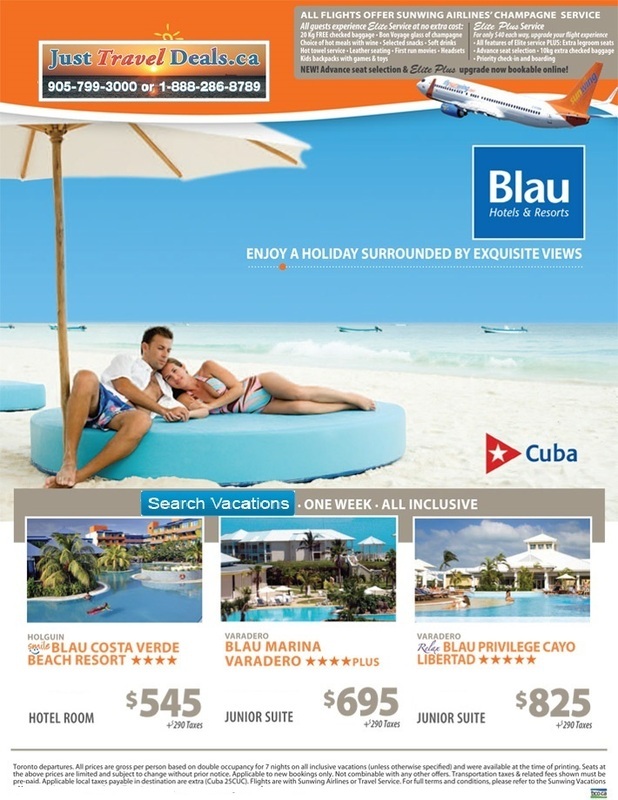 Blau hotels in Cuba, Blau Costa Verde Beach Resort, Blau Marina Varadero, Blau Privilege Cayo Libertad, Cuba Cheap Vacations, Cheap Cheap Tickets, Cuba Hotels - Sell Off Holidays Blau Hotels and Resorts are proud to present a collection of hotels in Mallorca, the Dominican Republic and Cuba. Blau hotels in Cuba from $545! with Sunwing!